Week 2 of Nonfiction November is hosted by the lovely Leslie of Regular Rumination, and I’m editing this post to say, I didn’t know in advance that her post this week would be on language and linguistics. 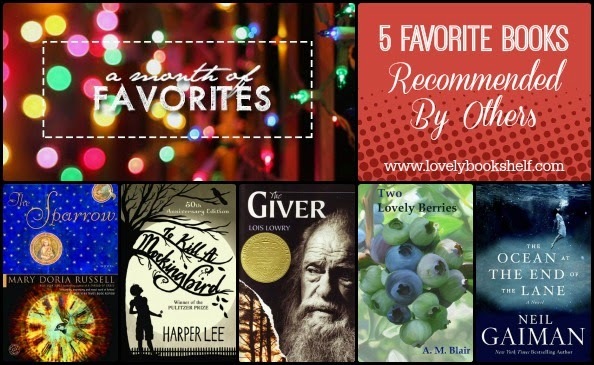 Thankfully we each took a slightly different spin, so you have double the book suggestions! I’d like to talk about language learning, which has been a passion of mine since I was a kid. When I was in elementary school, I’d borrow my dad’s shortwave radio (which he built!) and, late at night when reception was best, I’d try to find and identify as many different languages as I could. Then we moved overseas, and I got to learn and use Italian. After that, I was hooked. I joined International Club in high school, ended up learning smatterings of whatever I could pick up from the exchange students at our school, and in college I studied Japanese. Now I have to deal with the fact that I just don’t have as much time as I used to, so I’m focused on keeping my Italian active. Here are three stages of language learning I’ve gone through (and periodically revisit). 1. What language do you love? I love Italian. It’s beautiful and vibrant, and it reminds me of many happy times in my childhood. Dianne Hales wrote a wonderful memoir called La Bella Lingua. Her joy and love of the Italian language was so inspiring, I went out and bought a bunch of grammar books to refresh my memory and correct some bad habits I’d picked up on as a kid. You can probably find a similar memoir for the language of your choice: maybe Words in a French Life by Kristin Espinasse, Dreaming in Chinese by Deborah Fallows, or Dreaming in Hindi by Katharine Russell Rich. Once you have a language you’re excited about, try learning it! DuoLingo is a fun, game-like app that is free and offers a variety of languages. It uses a Spaced Repetition System (SRS) to boost learning in an effective way. This is a fundamental idea behind Gabriel Wyner’s book Fluent Forever. I gave his approach a try at the end of September, talked about it in my review of his book, and have continued with this method ever since. I’m sold; I realize just how much time I’ve wasted over the years studying inefficiently. The Fluent Forever website also offers language-specific resources/book suggestions, everything from grammar books to dictionaries to books you read for pleasure. Nothing beats practicing by conversing with native speakers. You can type “language exchange Skype” in Google to find people to practice with. I’m including The Bilingual Edge by Kendall King and Alison Mackey in this section. Although it’s geared toward parents who want to teach their children a second language, I think it offers a lot of encouragement and insight for all of us language learners. It addresses common myths and fears of early bilingualism, which ends up being a fascinating glimpse into the way the brain learns and processes language. It also dispels common myths of fluency, recognizing that people are unique in the ways they achieve fluency, and offers a balanced, more realistic look at what fluency actually is. This book helped me put my perfectionist nature aside and jump in, mistakes and all.